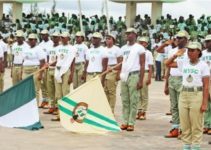 How To Calculate NYSC Age Limit 2019 – One thing that is both feared by some and loved by some university students as they draw closer to the end of their stay in the university is the National Youth Service Corp (NYSC) scheme. On that note, we are taking an in-depth look into the calculation of NYSC age limit. Every student in the university who hopes to graduate knows that upon graduation from the university with the degree of their choice, they will be required to serve their fatherland for a period of one year. Some students love the idea of this service year and even look forward to it as they are completely wowed by the opportunity to serve their fatherland and gain some experience in the field while they are at it. This group of students is usually also intrigued by the idea of being able to experience life in other parts of the country, different from the part they were born in. Other university students yet, dread the idea of being sent off to a strange land, to serve the country. In many cases, it may be the perceived rurality of wherever it is they feel they may be sent to, or it could simply be the unsafety of the general area they may be posted to. Whatever their reason is, these students know they cannot avoid the service year, not if they have hopes of getting gainful employment where they will be recognized as full graduates. The NYSC is a Nigerian government organization set up with the aim of ensuring that graduates in the country, take an active part and play an effective role in the development of their country. Those eligible for this service are those who have just graduated from universities, and more recently, polytechnics. The first director general of the NYSC was a man known as Ahmadu Ali and he is known to have acted in that position till the year 1975. Currently, the seated Director-general is known as Brigadier General Sulaiman Zakari Kazuare. This scheme which was created after the civil war as a way of fostering the unity that had been broken down by the war was created on May 22nd in the year 1973. After the war, the various opposing sides needed a way by which they could begin to reintegrate with each other and break the cold, hard ice that had been formed between them as a result of the civil war. The NYSC scheme was intended to be a means of fostering reconciliation, nation rebuilding and renewed cultural integration in the country and as a means of strengthening the fragile unity that existed at the time. HOW MANY TIMES DOES THE NYSC MOBILIZE ANNUALLY? Mobilization of Corp members usually takes place in batches (and more recently, in streams). Mobilization usually occurs twice in one year, with the two batches, A and B, going for service at two different points in the year. These batches, QA and B, can be further divided into Stream 1 & Stream 2. 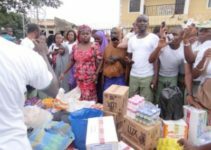 IS THERE ANY NYSC AGE LIMIT FOR PARTICIPATION IN HIS SCHEME, AND IF SO, WHAT IS IT? The NYSC scheme, while compulsory for all graduates, may exclude some people for different reasons. One of the most common reasons is age. The age limit set by the regulation body beyond which one cannot participate in the scheme is 30 years at the time of graduation. This limit takes into account the fact that there may be some delays in the education of some people who, upon graduation, would still need to gain employment. The strenuous activities involved, especially at the orientation camo are also taken into account, amongst other considerations. Those who graduate at ages above this limit will usually be given a letter exempting them from partaking in the service year. A sad occurrence in Nigeria is the one involving strike activities carried out by bodies in charge of various organizations in the country. Owing to this, people who enter federal Universities late may end up not graduating at the age of 30. This is not exactly an issue as one is qualified to get a letter of exemption when this happens. Estimation of age at the time of graduation (Which must not be beyond 30) should be carried out keeping in mind the activities of the university’s regulating bodies and general syllabus. Although a good number of students in the university are aware of the service year required of them upon their graduation, they do not take their time to really learn the ropes about the operation of the scheme until they have received their letter calling them for the compulsory service. The operation of the NYSC initiative is not a complex one. Graduates from universities and polytechnics, upon completion of their programs, are sent to various states in the country that are far from the states that they originated from. At first glance, one can easily see the benefit of this crossing of cultures and lifestyles. These Corp members, upon arrival at the states they have been posted to, now hold the onus of mixing with the people at their new location. Nigeria is a multiethnic country, but how many people really know what goes on in other parts of the country? With improvements in technology, this information about the culture and practices in different states has become more available and easily accessible but one could argue that experiencing these cultures first hand is the very best option. When one experiences the culture and tradition of a new place, one is granted to opportunity and ammunition with which they can handle and form new opinions on the places. So many things they may have heard from naysayers could easily be debunked and they could easily grow a new appreciation for life in other parts of the nation that they did not have before. Upon arrival in the state, one has been posted to, one is expected to report to an Orientation camp where one will receive the necessary orientation that comes packaged with the scheme, expected to last for a period of three weeks. This Orientation happens at a military-controlled camp, designated by the government and Corp members undergo drills and other activities aimed at sharpening their senses and fostering unity across the broad range of myriad individuals. At the camp, they will be needed to mingle with the relative strangers they find themselves amongst and interrelate. Lasting bonds have been known to arise from such an interrelation. Upon completion of the three weeks, the Corp members then go through a passing out ceremony which ushers them into the next stage which involves posting them to their Place of Primary Assignment also known as PPA. At the PPA, the Corp members are required to serve as full-time staff, and may or may not receive pay at the PPA, or state, but will definitely receive pay from the government. A working day is set aside for involvement in community development service. Eleven months is the time allocated for the duration of stay at the PPA after which, the Corp members are given a vacation lasting one month before they return to take part in a final passing out ceremony. It is at this final ceremony that they receive their Certificates of completion. WHAT DO I STAND TO GAIN FROM THIS COMPULSORY SERVICE? One thing that most people wonder about is the reason why they are required to go through this scheme mandatorily, and what they stand to gain from it. The fact is, if one intends to find gainful employment, a proof of a completed service year, is usually required. Graduates in Nigeria, cannot get jobs in government-owned companies and organizations, and even some private ones, until they have successfully finished their NYSC service. What this means is that getting a degree is not what qualifies you for employment in Nigeria, rather, what qualifies you, is both getting your degree and completing your NYSC program. One common merit of the youth service is the integration of various cultures. Unity in a country is of utmost importance and getting the youths to take part in this scheme, fosters such unity. Also, aside from the cultural integration aspect, there is also a forum that was created for Corp members to serve a range of functions. This forum bridges the gap caused by the distance between states they may be serving in and is also an avenue for them to share experiences, seek help and even post about job opportunities some of them may be eligible for upon completion of the service year. The forum also affords them a chance to be granted loans by the National Directorate of Employment. 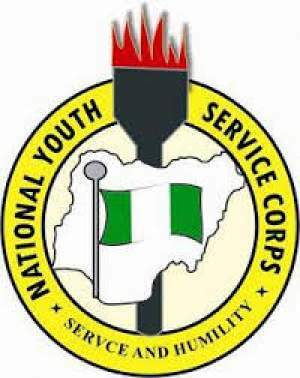 There are people who seem to think that the National Youth Service Corp has overstayed its welcome and no longer serves the purpose it was created to serve. Many yet, believe that there has never been a more important time for this scheme to be in effect, than now, keeping in mind the political and ethnic tension in the air. As with most things, the scheme itself is not the problem, but the people involved in the scheme. With the proper attitude and approach to things, the NYSC scheme will definitely foster the unity and cultural mixing that it was created to ensure. 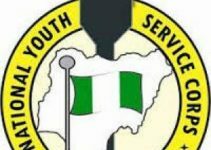 One thing that is both feared by some and loved by some university students as they draw closer to the end of their stay in the university, is the National Youth Service Corp (NYSC) scheme. On that note, we are taking an in-depth look into how to calculate NYSC age limit. So after 30yrs I cant serve again or can I appeal to serve? Hello Frank, You can still serve if you are above the age of 30. The age limit means it’s not compulsory for you. how can you serve when you are above 30 and your waec result you used to enter school shows same?